Click the button below to add the Dry Hair Conditioner to your wish list. Hydration Improves the Look and Feel of your Hair and Scalp. When hair gets dry, it lacks moisture, looks dull and can get brittle and prone to split ends and breakage. Moisturized healthy hair that is well-hydrated should look vibrant and feel soft. Even the most dehydrated hair can quickly regain its original strength, suppleness, and radiance. Dry, damaged hair is restored by protein to rebuild it from the inside out strand by strand. This conditioner protects and moisturizes from the inside while sealing cuticles on the outside for hair that is left silky smooth. 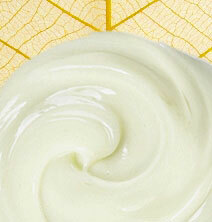 The marvelous richness of this formula nourishes your scalp and roots for a healthy appearance. Naturally, vitamin-rich, moisturizers like Tucuma, Grapeseed, and Peach Kernel leave strands looking healthy, shiny, and fully restored. Scents from Orange, Lemongrass with a hint of exotic Ylang Ylang essentials leave you refreshed. This has SAVED my hair. Absolutely the best conditioner you can use if your hair is dry, dyed, bleached, or with breakage. I love this, and you will see a difference after one wash in the texture and appearance of your hair. I leave it on about a minute or longer before rinsing it out. Our gentle dry hair conditioner adds shine, body, and moisture without adding weight or buildup. Gives brilliant, healthy shine, helps detangle, controls frizz, strengthens hair, and prevents split ends. Nature’s best ingredients provide nutrients that feed your dry hair. If you have dry hair, this will work wonders. I love, love, love this conditioner. It leaves my hair super soft and looking great without being weighed down. I usually have hair that is dry and curly that never feels good. This stuff turned my hair from being a dried out, hard to manage mess into hair that I can easily take care off. It looks moisturized with lots more shine than before. This is the only conditioner that works on my dry, coarse, color treated hair. This leaves my hair feeling lightweight and having tons of body! I also use their dry hair oil treatment once a month and wow! My hair and scalp have never looked and felt so good. Thank you. Help keep your hair color vibrant with our color safe, salt-free formula. It is gentle enough for daily use, can be used by men and women. Protects hair from sun, wind, and pool water damage (chlorine). One of the prized ingredients from the Amazon, Tucuma Butter provides unique moisturizing properties that revive dry, unmanageable hair into soft, silky smooth hair. Lightweight Grapeseed and Peach Kernel Oils leave strands strong, healthy, shiny, and fully restored. Meadowfoam Seed Oil, Jojoba oil, Tucuma Butter, and Grapeseed oil are loaded with omega fatty acids and antioxidants that replenish hair. Aloe Vera is a nutritive conditioner that moisturizes and softens hair for a beautiful sheen. 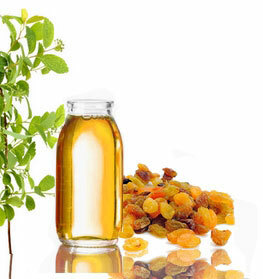 Almond and Olive Oil moisturize dry, damaged hair to make it healthy, supple and manageable. Orange Peel, Lavender, and Ylang Ylang essential oils calm and add a pleasant, nutritious scent. Apply an adequate amount of conditioner for dry hair from the mid-shaft to ends first, like you're making a ponytail on wet, shampooed hair. Run a wide-tooth comb from roots to ends to detangle hair. This method is the safest way to detangle hair without causing breakage. Conditioning may not be required every day. • Avoid applying the conditioner to the roots to prevent hair from being weighed down. • Do not brush wet hair. This can cause damage. Aloe Barbadensis (Aloe Vera Hydrosol), Limnanthes Alba (Meadowfoam Seed) Oil, Prunus Amygdalus (Almond Oil), Simmondsia Chinensis (Jojoba) Oil, Astrocaryum Vulgare (Tucuma Butter), Vitis Vinifera (Grapeseed) Oil, (Linum Usitatissimum) (Flaxseed) Oil, Prunus Persica (Peach Kernel) Oil, Olea Europaea (Olive) Oil, Helianthus Annuus Seed Wax (Sunflower Seed) Wax, Hydrolyzed Soy Protein, Citrus Sinensis (Orange) Peel Oil, Cymbopogon Flexuosus (Lemongrass) Oil, Citrus Paradisi (Grapefruit) Oil, Cetearyl Alcohol, Behentrimonium Methosulfate, Sodium Lauroyl Lactylate, Juniperus Communis (Juniper Berry) Oil, Lavandula Angustifolia (Lavender) Oil Mentha Piperita (Peppermint) Oil, Cananga Odorata (Ylang Ylang) Oil, Glycerin, Caprylyl Glycol, Guar Hydroxypropyltrimonium, Citric Acid, Panthenol (Pro-Vitamin B5). Perfect for everyone. I have naturally oily roots, and my ends are dry. I usually buy clarifying shampoos for my roots which clean my scalp well, but they cause havoc to my ends making them drier. I've bought masques and conditioners from drugstore brand to department haircare. They would make hair greasy or do nothing at all. I love that this conditioner is lightweight and natural. I always skip conditioner on my roots and apply from mid-shaft down. My ends felt moisturized (non-greasy) and supple. I am pretty impressed! I have dry curls, and this conditioner saves my hair every time I use it. I received this product extremely fast and in perfect condition. I used this product all over my hair after shampoo and allowed it sit for about 5 to 10 minutes. It left my hair super soft, moist and well defined. I love using this product as a co-wash as well. One of the best conditioner I'm using. I like this conditioner for my hair. My hair is usually dehydrated, and I am prone to split ends. I have to use a conditioner every time I shampoo, but in the winter I frequently need something more intensive.I add oils to this product to boost the moisture during the winter. I found this conditioner to be very moisturizing. Can't see myself using another conditioner. I've used this product as a co-wash, deep conditioner, and leave-in conditioner. My hair feels so much softer, stays hydrated longer, and look like I walked out of a salon. My hair is naturally dark, slightly wavy and armpit length. This conditioner is the best! I have dry damaged bleached blonde wavy hair and this was the first conditioner to actually work..it made my hair feel like real hair again! Hair looks healthy and shiny again and way less frizzy! Def worth the money! This conditioner makes hair look and feel like hair again! Because I spend a lot of time at the beach...in the salt water...I am diligent about replenishing moisture and keeping the hair cuticle conditioned. I have 26" long highlighted blonde straight hair that I have trusted to JustNutritive products for years. Thie ingredients are superb. Personally, I think the price point is spot on, as most of the "boutique Salon hair products" are FULL of inexpensive chemicals and additives, and cost the same OR MORE! As a side note: For any of you gals who wear Remy hair extensions and know how difficult it is to keep them soft and silky...USE THIS CONDITIONER on the hair! During the summer my hair can get straw like and brittle with all the sun activities. This conditioner gave my hair the extra moisture it needed, without looking greasy, to be healthy and soft all summer! This the product its self is very good, clean, and decently priced vs. competition. Has protected my Hair from damages, split ends, and other tings. Overall I do recommend to some but do your research before you put something in your hair. If the results were not amazing I would be complaining about the cost. A bit to expensive but it works as promoted. Only thing I could say is the essential oil extract are strong and can be displeasing to some. Great product but in my opinion a bet overpriced, nor for everyone. The product did work and has made my hair feel moisturized and nourished. Works well to make my damaged hair feel soft. However, I'm not THAT crazy about the smell. It doesn't smell bad, but it's not good either. I am so glad I tried Just Nutritive Dry Hair Conditioner. I have used many other conditioners for my dry hair and nothing worked as well as this. It leaves my difficult hair soft and manageable. My fine hair is quite difficult to style but this product has made that task a breeze. Two thumbs up. This product makes your hair unbelievably smooth and soft. I have never colored my hair but it was dry and looked very frizzy (especially in the back) from the use of the flat iron and straightening spray. This conditioner works so well that I gave up the straightening spray and just use the flat iron sparingly. I love it. My hair was really dry and this shampoo & conditioner helped me a lot I love it my ends are getting so much better.